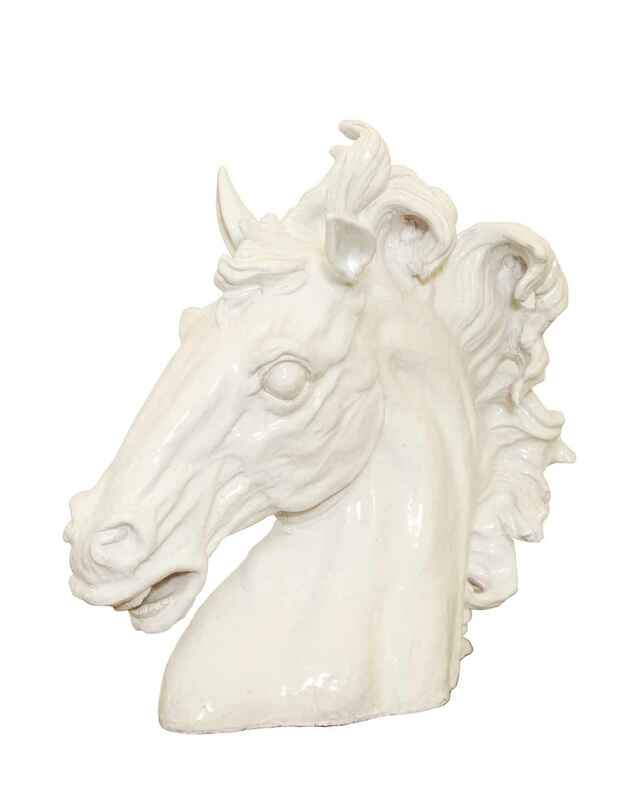 Well articulated bust of a horse's head, in white-glazed pottery. CONDITION: Excellent antique condition. Crackle glaze. Well articulated bust of a horse's head, in white-glazed pottery. CONDITION: Excellent antique condition. Crackle glaze.